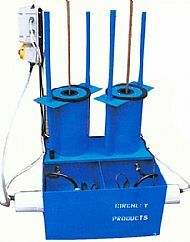 Inspection, testing is carried out in an approved IDEST Test centre - IDEST 7V, in accordance with EN1968 for steel cylinders and EN1808 for aluminium cylinders. Recent changes in the rules and regulations regarding the inspection of diving cylinders require the testing station to destroy any cylinders that fail the test. Under industry standards, dive cylinders are required to be visually inspected every 2 ½ years from the date of the hydrostatic test. This involves checking the cylinder for signs of corrosion and damage, inside and out, and assessing the threads and seals. Cylinders are then marked with a sticker showing the date of the inspection. 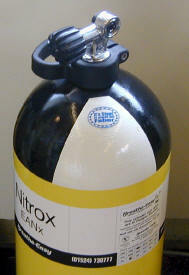 The proper preparation of a scuba cylinder for use with Enriched Air Nitrox (Nitrox) is essential for the safety of the cylinder user and the person filling the cylinder. All cylinders requiring O2 cleaned are O2 cleaned using Biox '02' cleaning fluid which is used by the Ministry of Defence, Military Establishments, Off Shore and Diving schools Worldwide for the cleaning of their oxygenated breathing systems and hyperbaric equipment.